By Stephanie Sabol. 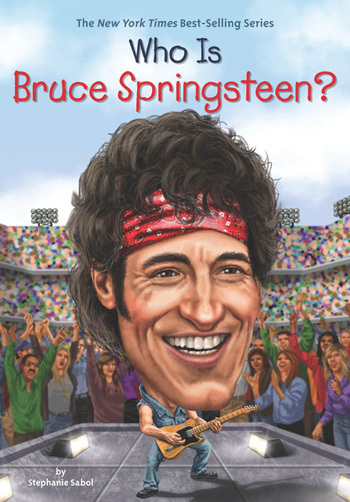 You've probably seen this "WhoHQ" series of biographies for kids from Penguin/Random House, relating the lives of important historical and cultural figures and recognizable by the ginormous heads on their covers. 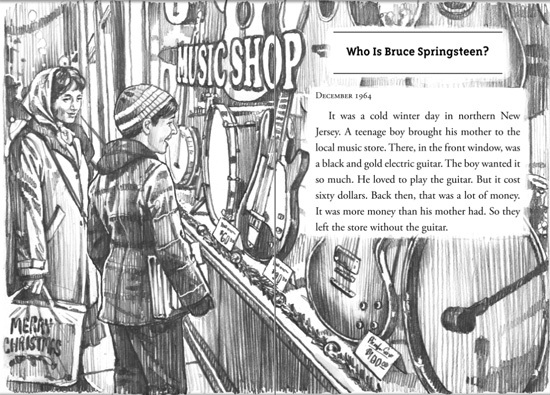 Recommended for young readers (ages 8-12), who can now find out... Who is Bruce Springsteen? 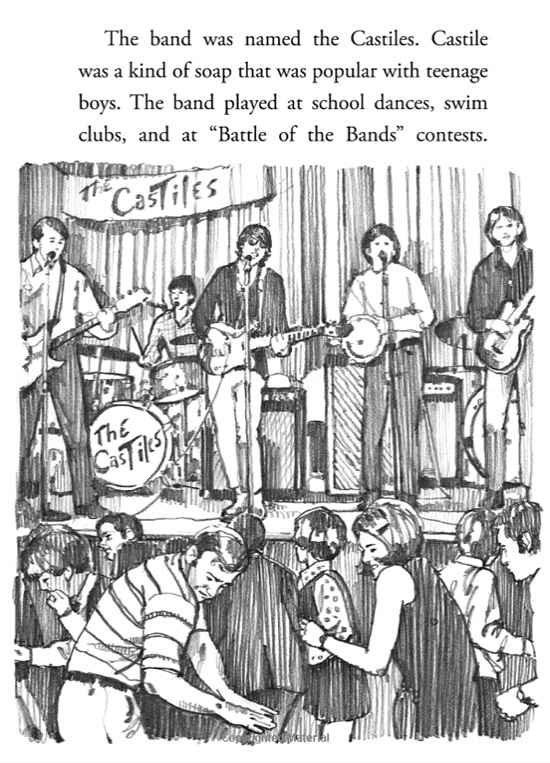 Nicely illustrated throughout by Gregory Copeland, with sidebars on subjects such as Elvis Presley, Asbury Park, Famous E Streeters, Woody Guthrie and more.